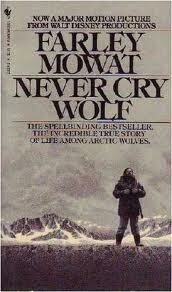 Canadian author Farley Mowat has died at age 92. He wrote for adults and children, with many of his books focusing on the environment. His memoir Never Cry Wolf (1963) was turned into an award-winning film of the same name in 1983, starring Charles Martin Smith. His children’s books include Owls in the Family (1961), The Dog Who Wouldn’t Be (1957), Lost in the Barrens (1956), and its sequel Curse of the Viking Grave (1966). This year’s winner of the Jane Addams Award (for books promoting peace and social justice), in the category of Younger Reader is Brave Girl: Clara and the Shirtwaist Makers’ Strike of 1909, written by Michelle Markel and illustrated by Melissa Sweet, published by Balzer & Bray, an imprint of HarperCollins. Brave Girl celebrates the accomplishments of Clara Lemlich, a young immigrant who helped to lead a general strike against outrageous working conditions in the garment industry at the turn of the century. Two Honor books were named: We Shall Overcome: The Story of a Song written by Debbie Levy and illustrated by Vanessa Brantley-Newton and published by Jump at the Sun, an imprint of Disney-Hyperion and Razia’s Ray of Hope: One Girl’s Dream of an Education written by Elizabeth Suneby and illustrated by Suana Verelst and published by Kids Can Press. The 2014 winner for Older Readers is Sugar by Jewell Parker Rhodes, published by Little, Brown and Company. Sugar is the name of the book, the name of the crop that dominates plantation life, and the name of the spirited young girl who tells us the story of forbidden friendship, racial tension, and the introduction of Chinese workers onto a Reconstruction-era plantation. Two Honor books were named: Seeing Red by Katheryn Erskine and published by Scholastic Press and Brotherhood by Anne Westrick and published by Viking.